This one is for folks in the Gainesville, Florida area. 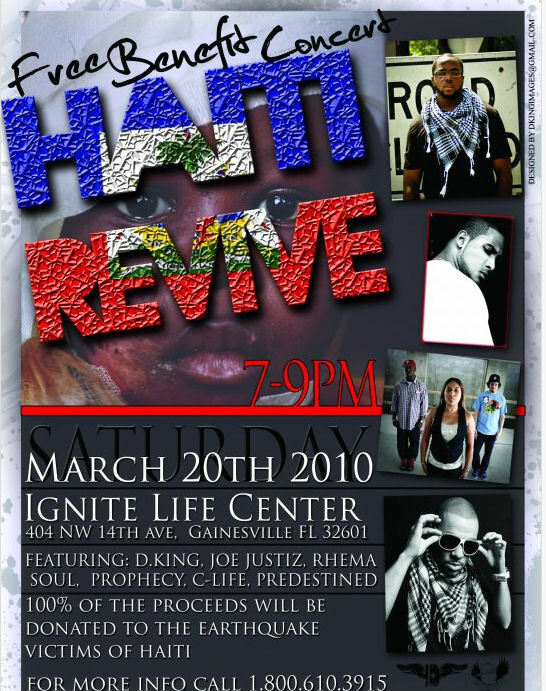 Next Saturday, March 20th, D.King and friends are presenting a benefit concert for Haiti. 100% of the money raised goes to World Vision. Get directions to Ignite Life Center.